A woman in her 70s has been left with serious injuries after she was hit by a car which then failed to stop. 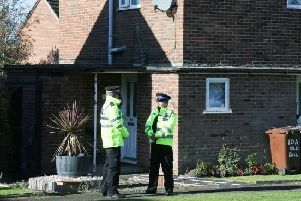 The incident took place in South Road, Hailsham, at about 6.40am this morning (Tuesday, February 9). The Kent, Surrey and Sussex Air Ambulance was called to assist and the road has been closed by police for forensics analysis to take place. A blue Ford car is suspected to have been involved in the incident, say police. Officers are appealing for anyone with any information about the blue car, which may have been abandoned, to come forward. In addition, anyone who saw the collision, or who witnessed a blue Ford in the area immediately before or after the incident, is asked to call 101, quoting serial 134 of 09/02.